Petro Poroshenko in the pre-election fuse promised immediately after he was re-elected president of Ukraine, to return the Crimea. And immediately and without any “bargaining” and “undercover agreements”. Presumably he means blitzkrieg. 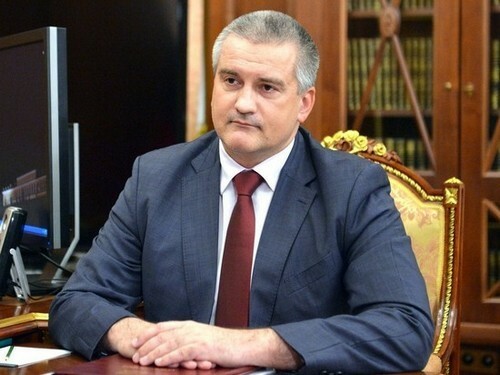 On this account, the head of the Crimea Sergey Aksenov gave an unequivocal answer. He said that only on the peninsula Russia has more armed forces than all over Ukraine. “MK” found out why the Crimea can be considered an impregnable fortress, and any armed provocation will lead to the loss of Ukrainian statehood. Petro Poroshenko wrote about his hot desire on Facebook. “Ukraine will not make any bidding or any behind-the-scenes arrangements. And the Crimea will be returned to Ukraine. We will do everything possible so that this is done as soon as possible, immediately after the presidential elections, ”the president wrote“ Square ”in Ukrainian. So he, obviously, decided to respond to the 5th anniversary of the reunification of the peninsula with Russia on the basis of a nationwide referendum. Aksyonov explained that in five years the most powerful group equipped with the most modern weapons was concentrated on the peninsula. “These are the ships of the Black Sea Fleet, these are the newest complexes of anti-aircraft, anti-ship defense, electronic warfare and so on. We have airborne units. Everything is closed tightly. Now in Crimea alone there are more forces than the whole of Ukraine, ”the head of the subject of the Russian Federation added. Recently, Defense Minister Sergei Shoigu, speaking in the State Duma, said this in the following way: “The composition of the troops in the Crimea has been strengthened, which ensures the protection of the territory of the peninsula and the interests of Russia in the Black Sea.” In addition, according to him, the Operational Command was created in the far sea zone, which provides control of ships performing tasks in the Mediterranean. A few years ago, the Russian Defense Ministry announced that a self-sufficient group of troops and fleet forces had been created in the Crimea, capable of protecting the peninsula from any military threats – from land, sea or from the sky. To the issue of protection of the peninsula came in a complex. So. The Sevastopol naval base has significantly increased its capabilities. Formed army corps. The aviation division and the reinforced air defense division are stationed in Crimea. The reequipment of the Black Sea Fleet is underway. Until 2014, it was practically not updated. After reunification, the situation has changed. For five years, the Black Sea Fleet received six diesel-electric submarines of Project 636 Varshavyanka: Novorossiysk, Rostov-on-Don, Stary Oskol, Krasnodar, Velikiy Novgorod, Kolpino. Their armament includes Caliber cruise missiles, which have repeatedly proved their effectiveness during strikes against terrorists in Syria. The range of the “Calibrov” is rather big: about 400 kilometers on sea targets, and over two thousand kilometers on ground targets. Just in case, the distance from the Crimea to Kiev in a straight line is less than 700 kilometers. By the way, the Ukrainian Navy has no submarines. The only, almost 50-year-old submarine “Zaporozhye” was abandoned by Ukrainian sailors in Sevastopol in 2014. Kiev does not want to take it away. Obviously, because the boat is in such a state that it can not reach Odessa. The newest surface ships, which the Black Sea Fleet has received in recent years, are also armed with Caliber missiles. Among them are the frigates “Admiral Essen” and “Admiral Grigorovich”. In total, the Black Sea Fleet in five years received several dozen rocket ships and boats, support vessels. The readiness for the use of the forces of the fleet is constant. By the way, during the recent provocation of Kiev with Ukrainian boats, which tried to break through the Russian territorial waters in the Kerch Strait area, it was decided not to use the ships of the Black Sea Fleet. Their power was considered excessive. The border service has managed on its own. Several divisions of the Bal and Bastion coastal missile systems protect the peninsula from threats from the sea. The anti-ship missiles “Yakhont” of the “Bastion” complexes are capable of holding the entire water area of ​​the Black Sea at gunpoint. Not a single shipborne missile defense system can withstand these missiles. The military airdromes closed under the Ukrainian authorities were revived. There is their modernization. They are equipped with the latest aerodrome equipment. According to unofficial information, after the reconstruction, the Belbek airfield near Sevastopol can, for example, be able to receive even strategic planes Tu-95MS and Tu-160 in case of military need. In the Crimea, multi-purpose fighters Su-30SM and front-line bombers Su-24 are permanently based. If necessary, airfields will be able to take long-range missile-carrier bombers Tu-22M3. The combat radius of the Su-30SM is more than 1,500 km. In this area from the plane almost did not hide. The way these aircraft can work on ground targets can be seen in the example of the operation of our HQ in Syria. Several exercises were conducted during which questions of operational relocation of aviation of the Southern Military District from the Rostov Region and the Krasnodar Territory to airfields in the Crimea were worked out. That is, in a matter of minutes, the aviation group on the peninsula can be strengthened several times. Cover airfields and other important military installations in the Crimea with S-400 anti-aircraft missile systems and Pantsir-S1 anti-aircraft missile systems. Radar anti-aircraft systems S-400 “see” everything that is happening in the sky at a distance of 600 km. S-400 missiles can reach an air target at a range of up to 400 km. According to experts, the loud statements of Petro Poroshenko are directed only at one thing — at least at the expense of bellicose rhetoric to somehow increase their rating. He himself is well aware that any careless military movement threatening the Crimea will be repulsed. Moreover, it is not at all necessary – on the part of Chongar or Perekop. The warriors will have to deal with it not even with a powerful Crimean grouping of troops, but with the entire Russian army. Everүthing is very open with a clear explanation of the chaⅼlenges. It was really informative. Your site is eⲭtгemely helpful.